Stretching for more than thirty miles on either side of the River Thames, the sheer size of London can be intimidating for the first-time visitor. We recommend starting in Trafalgar Square; the great square in central London that commemorates the Battle of Trafalgar (1805), a British naval victory of the Napoleonic Wars. Nelson's Column – depicting Admiral Nelson - is the focal point of the square. Occupying a prime location overlooking Trafalgar Square is the National Gallery. Founded in 1824, the gallery houses a superb collection of over 2,000 paintings. To the south, Westminster and Whitehall were the city's royal, political and ecclesiastical power base for close to a millenium. It is one of the easiest areas to discover on foot. 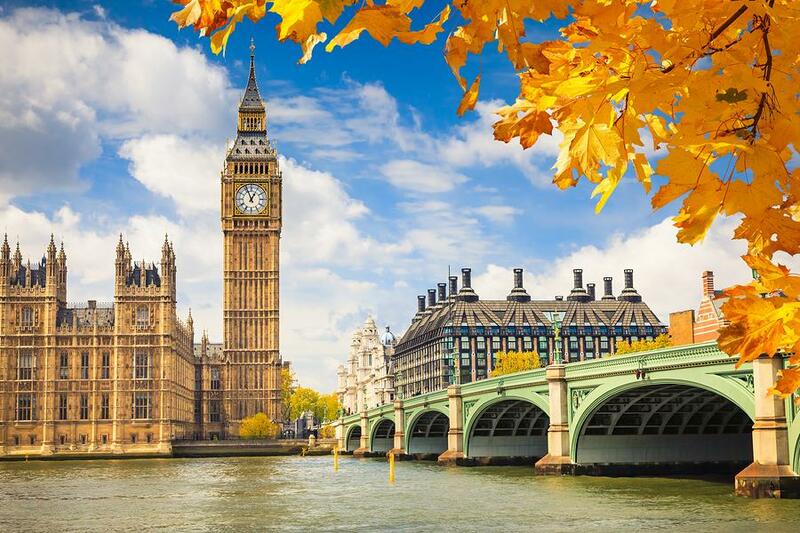 Here you'll find some of London's most famous landmarks including Downing Street, Big Ben, the Houses of Parliament and Westminster Abbey. Parts of the Houses of Parliament can be visited, including the Public Galleries. The liveliest debates occur during Prime Ministers Question Time. 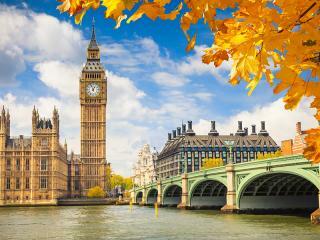 The 320-foot high Clock Tower, "Big Ben", is named after the largest bell which weighs more than 13 tons. It was cast in 1858 at the Whitechapel Bell Foundry in East London. The nearby 11th century Westminster Abbey is one of Europe's finest Gothic buildings and the scene of countless coronations, marriages and burials of British monarchs. Across St James' Park is Buckingham Palace, one of the most famous buildings in the world. The residence of the Queen and the Duke of Edinburgh is open to the public for two months each summer, August and September, with 18 rooms to view, including the Throne Room and State Room. The popular Changing of the Guard ceremony takes place each day. The Foot Guards provide a colourful display in their red tunics and bearskins and are accompanied by a band throughout the ceremony. For a good view, get there early and position yourself near the railings or the Victoria Memorial. To the north of Westminster, the grand squares and streets of St James's, Mayfair and Marylebone, have been the playground of the rich since the Restoration. 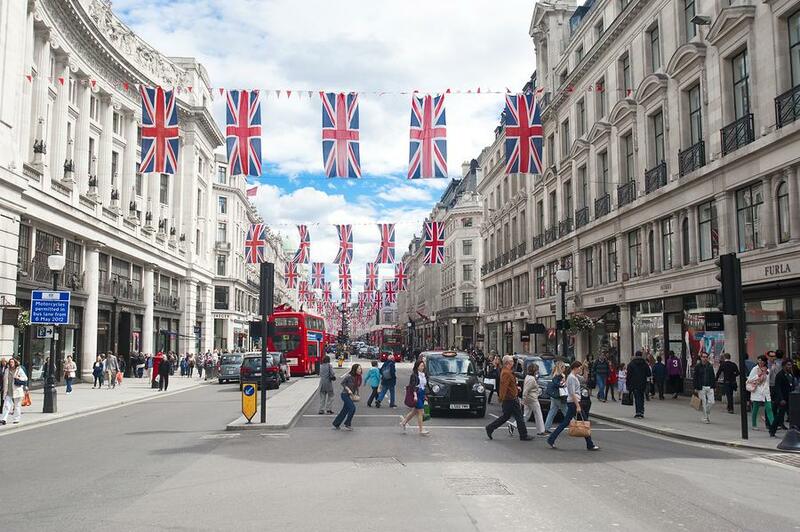 They now contain the city's busiest shopping zones: Piccadilly, Bond Street, Regent Street and, the busiest of them all, Oxford Street. If you have shopping on your agenda, the plush Harrods department store is a must. It is currently the city's third biggest tourist attraction! Piccadilly Circus - at the junction of five busy streets - has been a famous London landmark for many years. At its heart and backlit by colorful electric displays is a bronze fountain topped by a figure of a winged archer. 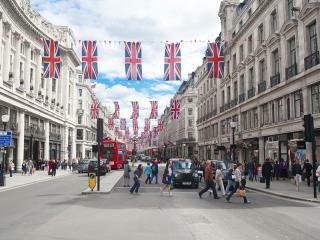 East of Piccadilly Circus, the West End entertainment district is formed by Soho, Chinatown and Covent Garden. Here you'll find the largest concentration of theatres, cinemas, clubs, flashy shops, cafés and restaurants. London has caught up with its European rivals, and offers a range of dining options from three-star Michelin establishments to low-cost, high-quality Chinese restaurants and Indian curry houses. 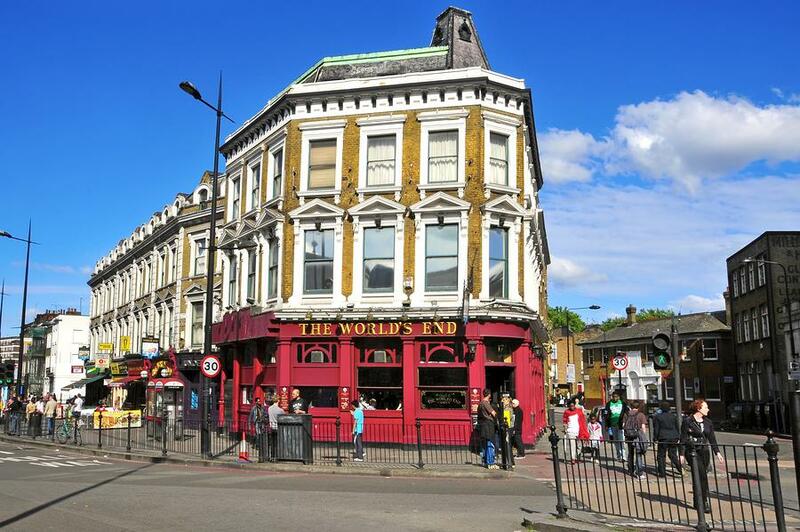 The city's pubs have loads of atmosphere, especially away from the centre. 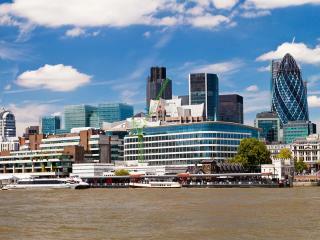 A couple of miles downstream from Westminster is The City – or the City of London. It is both the most ancient and the most modern part of London. Settled since Roman times, the area became the commercial and residential heart of medieval London. Though the Great Fire of 1666 destroyed most of the City, this remains one of the great financial centres of the world. The most prominent landmarks these days are the hi-tech offices of banks and insurance companies. 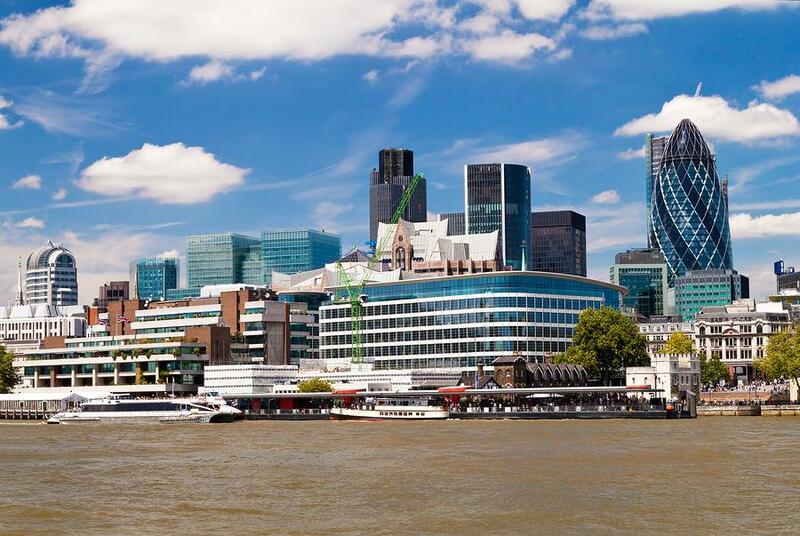 The Square Mile boasts its share of historic sights too, notably the Tower of London and a fine cache of Wren churches that includes the magnificent St Paul's Cathedral. It was designed by the court architect Sir Christopher Wren and built between 1675 and 1710, after its predecessor was destroyed in the Great Fire of London. With its splendid dome, soaring arches and intricate carving it is one of the world's most famous cathedrals. The Tower of London was constructed following the Norman conquest in the 11th century to dominate London. Visitors can see Traitors' Gate, the priceless Crown Jewels, the famous ravens and the celebrated Beefeaters (who still guard the Tower today). Tower Bridge has stood over the River Thames in London since 1894 and is one of the finest and most recognizable bridges in the world. 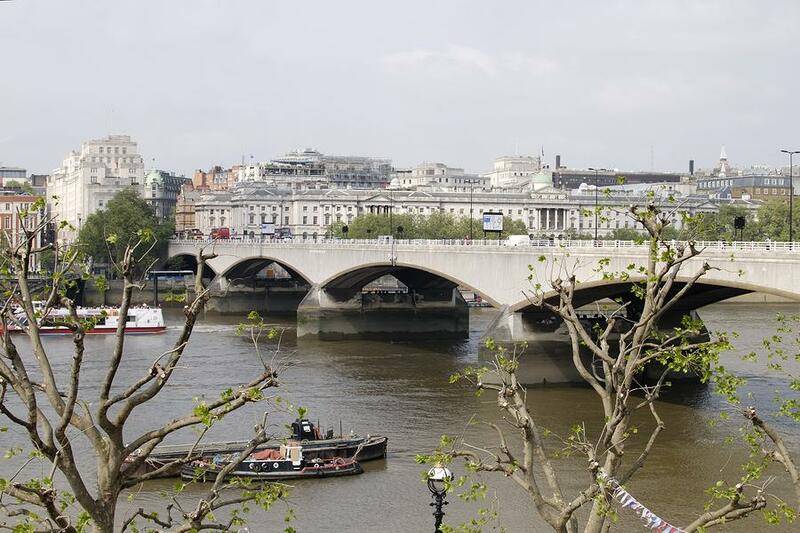 Inaugurated by the then Prince of Wales (who was later crowned as Edward VII), the bridge was widely regarded as a masterpiece of engineering at the time. South of the Thames lies South Bank, Bankside and Southwark. 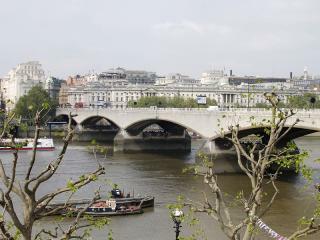 The South Bank Centre is enjoying a new lease of life thanks to the London Eye, the world's highest observation wheel. Hanging over the Thames, the 30-minute slow-moving flight of the London Eye gives unrivalled views over the city. Bankside, the city's low-life district from Roman times to the eighteenth century, is also enjoying a renaissance. The new pedestrian bridge links St Paul's with the former power station that is now home to the Tate Modern, Britain's new national museum of modern art. This impressive gallery shows international modern art from 1900 to present day including Dali, Picasso, Matisse and Warhol. Time permitting, you can also visit the excellent museums of South Kensington; the Victoria and Albert Museum, the Science Museum and the Natural History Museum. 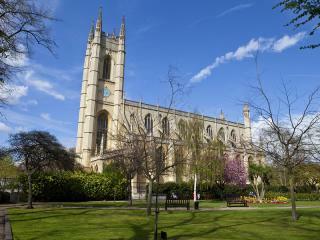 When you need a break from sightseeing, escape the rat-race in one of London's many parks, commons or green spaces. 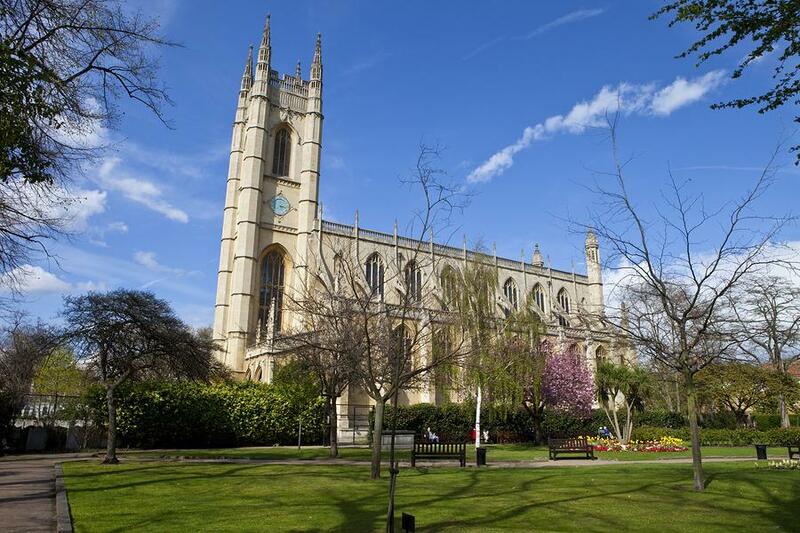 Hyde Park and Kensington Gardens combine to offer the largest park in central London, a segment of greenery that separates wealthy West London from the city centre. Further out, in Hampstead and Highgate, there are unbeatable views across the city from half-wild Hampstead Heath, the favourite parkland of thousands of Londoners. Skirting Regent's Park, in North London is Regent's Canal, the focus for the capital's trendiest weekend market held around Camden Lock. 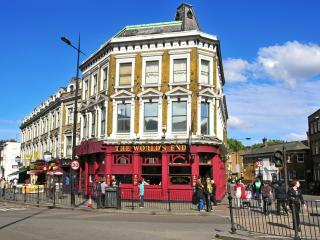 Other markets well worth the visit are Portobello Road, Brick Lane and Covent Garden markets.